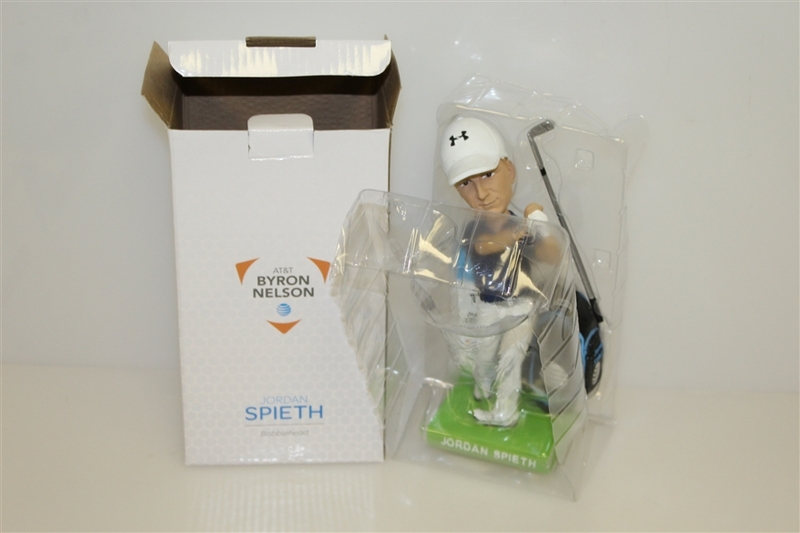 Jordan Spieth took the professional golf scene by storm. 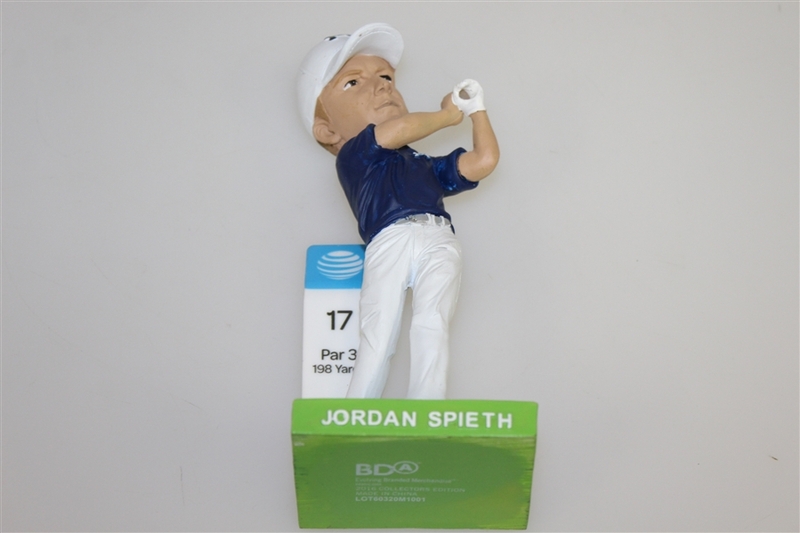 He turned pro in 2013, became the youngest player to compete in the Masters in 85 years in the year 2014 and then went on to become the second youngest person to in the Masters in 2015 while also tying the lowest Masters score (-18) set by Tiger Woods in 1997. 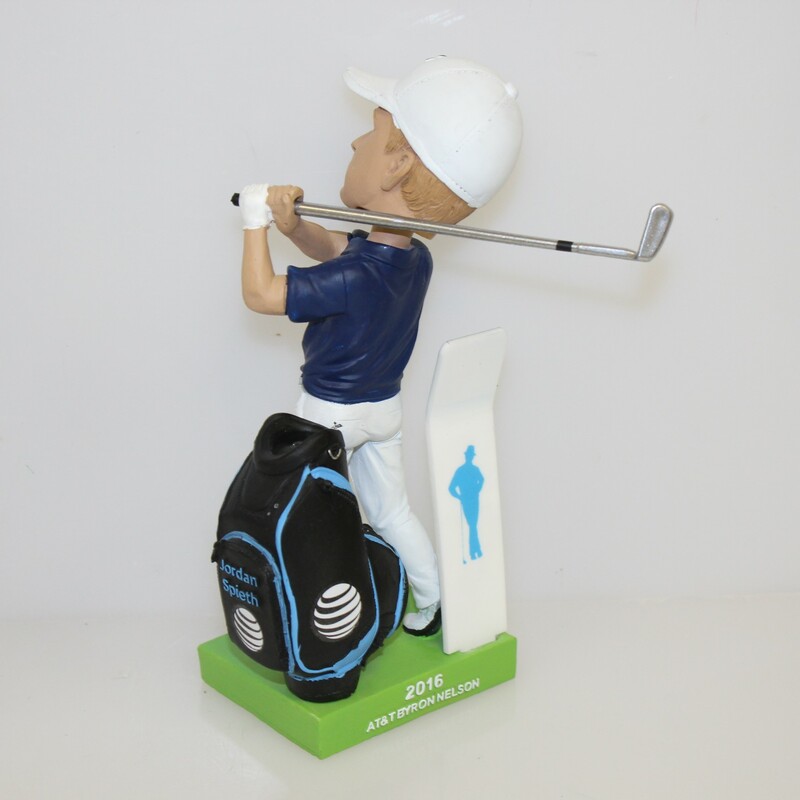 To date, he has 14 professional wins, 11 of which are from the PGA Tour. 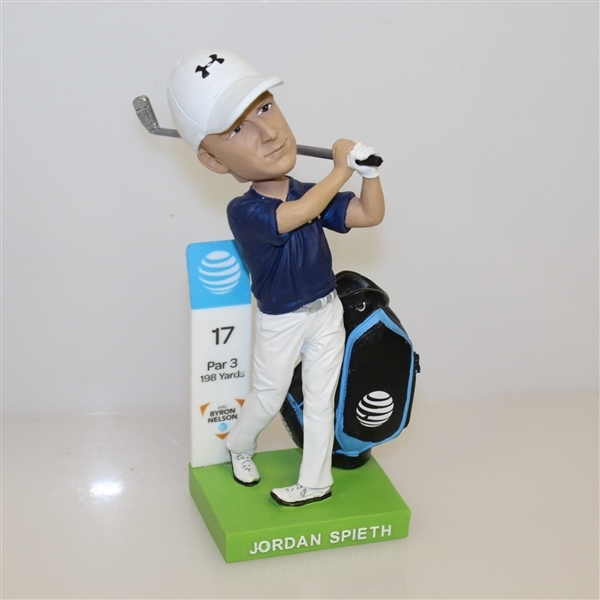 After a 0-win 2018, the newly-wed Speith will hope to bounce back in 2019 by taking a step back and simplifying his game. 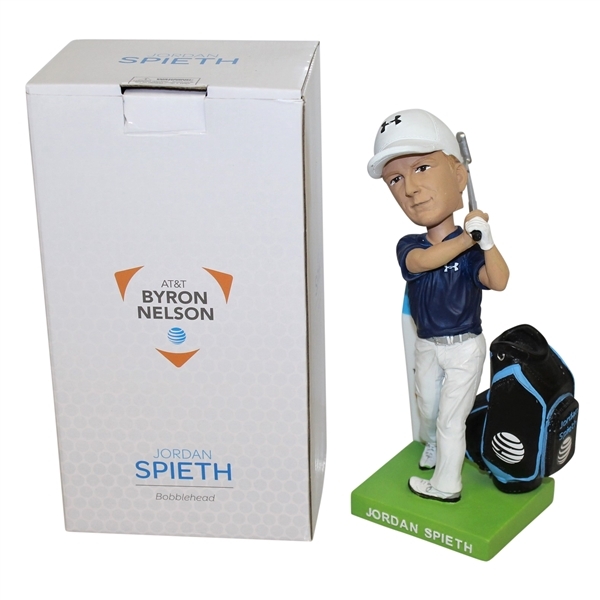 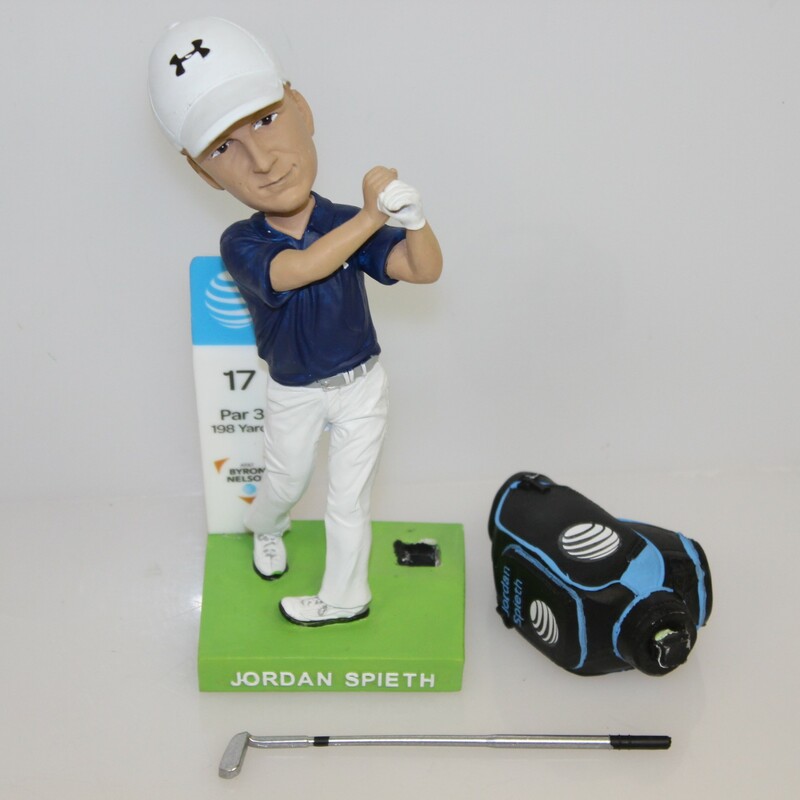 This lot features a collectors Jordan Spieth bobble head with golf bag in its original box from the 2016 AT&T Byron Nelson tournament. Speith finished -10.